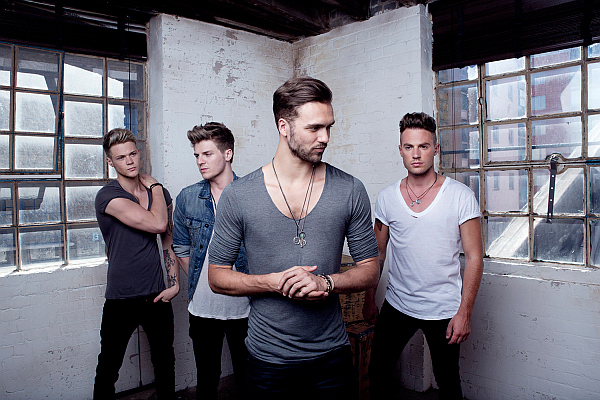 Pop rock four piece Lawson have been away for nearly 18 months but they are now BACK! BACK! BACK! And what a veritable thrill it is to have them back. I interviewed them nearly two years ago during my time as a writer for the short lived online pop mag AMAZEPOP – it was a great interview and we all laughed/debated the greatest boyband songs of the last fifteen years and the merits of service stations within radius of the M25 – and I have seen them live a couple of times since so can testify what a great band they are. Having played a handful of low key comeback shows week before last, they now return with ‘Roads’, the first single off their second album and it is an absolute BANGER. Part OneRepublic, part Shania Twain and part KT Tunstall, it’s a total hoedown throwdown that’s so unlike anything they’ve done before but is a really refreshing change to what’s out there at the moment – and I feel it’s destined to take them onto even greater things this time round. Check out the video here and make sure you go download the single when it’s released on 24th May. I probably put myself at severe risk of sounding incredibly hipster with this next one – particularly in light of a Guardian piece this week which stated that ‘Secret Garden’, a self professed ‘colouring book for adults’ by Scottish artist Johanna Basford is currently top of the Amazon bestseller lists in America – but colouring in has become one of my new favourite pastimes, and is one of the few things I can’t attribute to being a side effect of having a four year old niece and two year old nephew (though I do love colouring in with them when I go round to visit them or they come over for a sleepover). This week just gone at work, with the Easter holidays still being in full effect, my boss had her 6 year old son in for the morning, and thus came the suggestion that to keep him occupied, we had a colouring in contest. A furious but playful war was thus waged amongst me and my colleagues over crayons and felt tips. 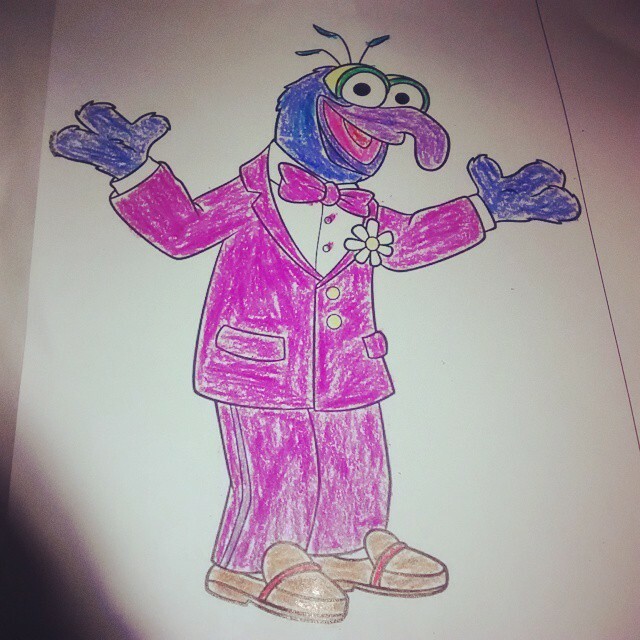 The above, my attempt at Gonzo from the Muppets, was highly praised, although her son rightfully won out in the end with his very impressive Spongebob Squarepants. In all seriousness though, it’s more of a therapeutic pastime than you might think. Switch your phone off for an hour or two this week and give some printouts from Google images a go – I might even post some of the best next week. After autumn, spring really is my favourite season of the year. 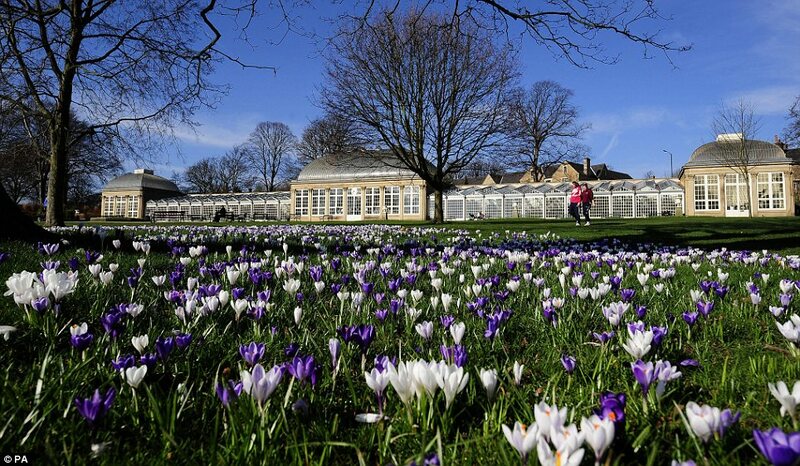 Not too warm or too chilly, but just right enough to leave the house without either feeling too bitingly cold or too swelteringly warm, with flowers all coming into bloom and lighter mornings and evenings making it a thoroughly pleasant time of year. 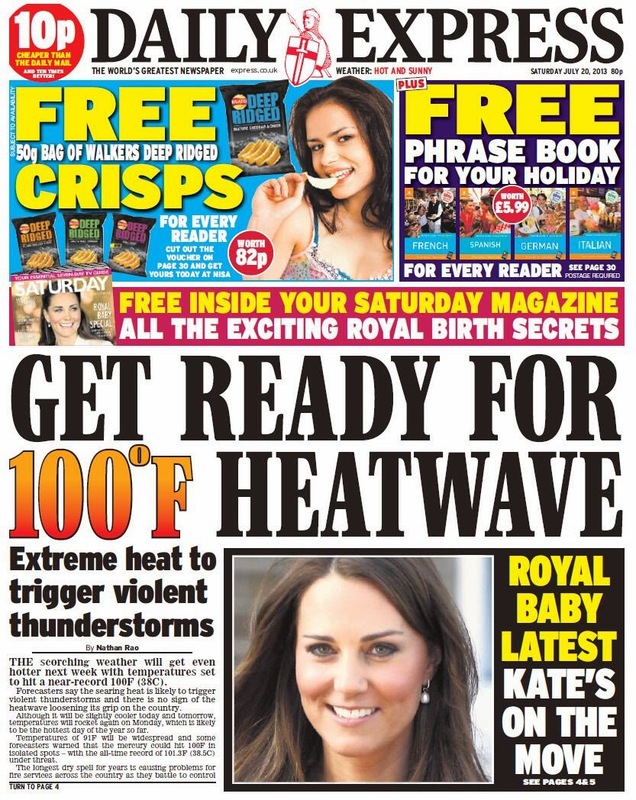 Admittedly, the above is a Daily Express headline from the summer of 2013 but my point still stands. People who don’t embrace the four seasons as they rightfully and correctly should be in the UK – winter, spring, summer and autumn (or ‘fall’ for the latter to our American or overseas readers) – and who thus dramatically call nice weather in March/April/May time ‘summer’ or ‘the only bit of summer we’ll ever get’ when it’s quite patently not, need Winalot force fed up every orifice until they see sense. There’s no image to accompany this particular rant because the mere horsefaced appearance of this one makes me rather riled. Particularly with the news this week that this vacuous, pretension zone professional troll is now getting a CHAT SHOW of her own. Admittedly, it’s gonna be airing on The Learning Channel, a channel that not even the most wide eyed insomniac would settle on in desperation at 3am – but the question begs. How much longer before people stop giving a vehicle and thus the oxygen of publicity to a thing who has extended and whipped her 15 minutes of supposed ‘fame’ way past its sell by date? Particularly with her continued complete idiocy and un-informed bashing of everything and everyone, from depression to weight loss in a tedious ‘look at me but don’t look at me’ documentary that said ‘most fat people would have lower metabolisms if they put less in [their mouths]’ and ‘skinny people aren’t lucky, they move more’. As was accurately expressed by Geordie comedian Chris Ramsey on a recent episode of ITV2 panel show ‘Celebrity Juice’, ‘most of her weight loss comes from losing the s*** that comes out that end [her mouth]’. Media outlets of Great Britain, it’s time to cut off contact and outlets with, and send the non career of this vile being down the U bend of a toilet once and for all.